Earlier this summer, our family went on a two-mile hike that took us more than two hours to complete. Yep, that’s right, we were walking slower than one mile per hour. I’m pretty sure snails were slithering faster than us. All this got me thinking about why we even bother dragging our kids out on the trail when doing it alone would be much faster and usually more enjoyable. 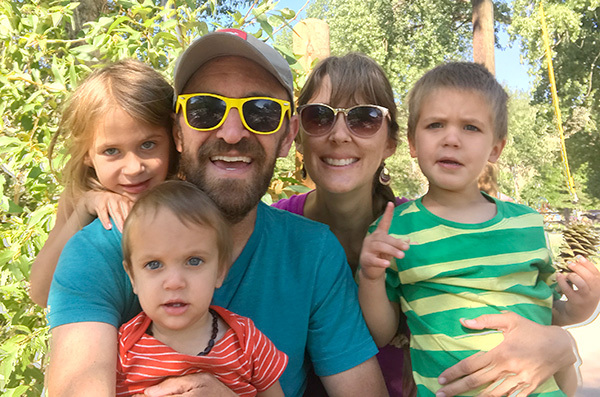 Simmering on this question, I came up with three reasons why we keep hiking with our kids. Hiking is our family way. Sharing the outdoors with our kids is part of our family culture, our identity. When we spend time outside we are showing our kids that nature is important, that we are a part of God’s glorious creation. They are learning respect, stewardship and conservation. Not because we preach it to them, but because they see us live it out on the trail. Along the way we are building beautiful memories together that I hope will remain in their hearts as a wellspring of joy that they may draw from their whole life through. Tip: Let your kids see you enjoying nature and they will follow. Bend down to examine a flower. Let them see you picking up trash along the trail. Model good trail etiquette. Talk about what you see and hear. More is caught than taught! Hiking is education. Every time we go on a hike, my kids and I learn something valuable. Because they are hiking slowly (did I mention the snail’s pace?) they notice so much more than I do. They are always bringing me berries, flowers or bugs to identify. On this particular hike, Josh found six different types of mushrooms, some of which were edible. I love that my kids are becoming nature-literate, learning how the world works by touching, tasting and enjoying it’s creatures. Tip: Resist the urge to lecture your kids. Let them point out what piques their interest and allow them to ask questions. I encourage our kids to take samples or photos of any plants or animals they find interesting so we can identify them at home. They remember so much more when they do the leg-work. Hiking is perseverance. There are no short-cuts out on the trail. If we want to see the waterfall, alpine lake or wildflower meadow, we have to keep going. 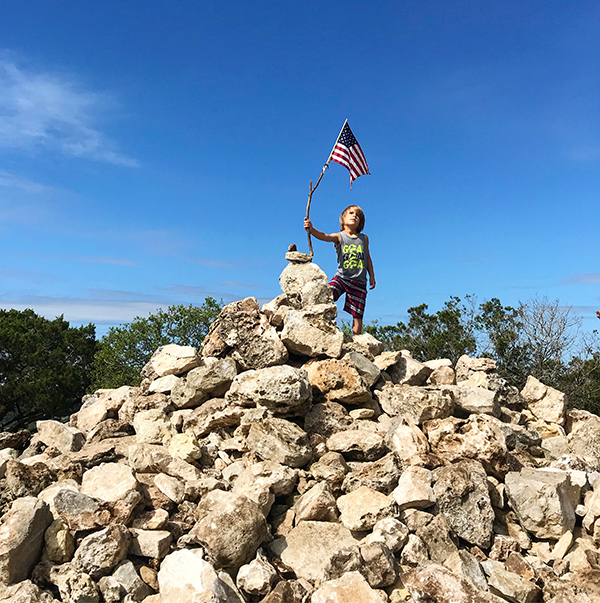 Hiking is a golden opportunity to teach little ones the value of setting a goal and sticking to it, even when he journey is difficult. Of course, we keep our hikes within their capability, but that doesn’t mean there won’t be a fair amount of complaining and feet-dragging along the way. Our hope is that by slowly stretching their abilities they will become more resilient and confident. Tip: Have patience. If possible, let your kids take the lead and set the pace. I try to remind myself that my goal is to foster a love of nature, not set any personal records for fastest hike. 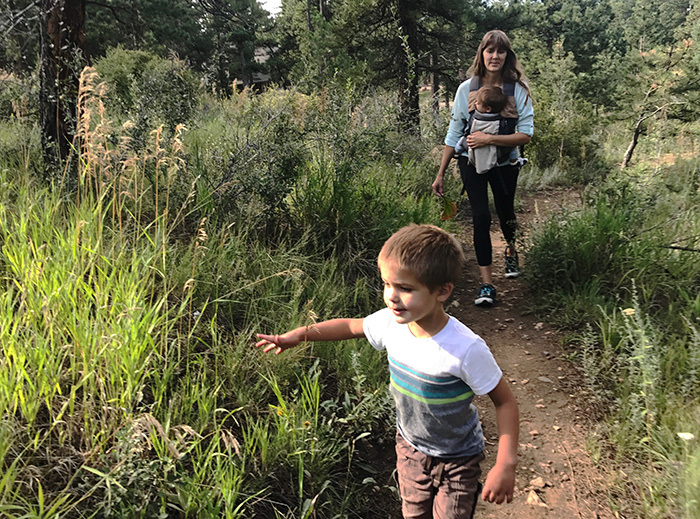 Yes, hiking with little ones is not the same as going alone; It’s a lot slower, louder and generally more painful… Like most every part of parenting. I like to imagine our family in ten years, hiking the Pacific Crest Trail together. 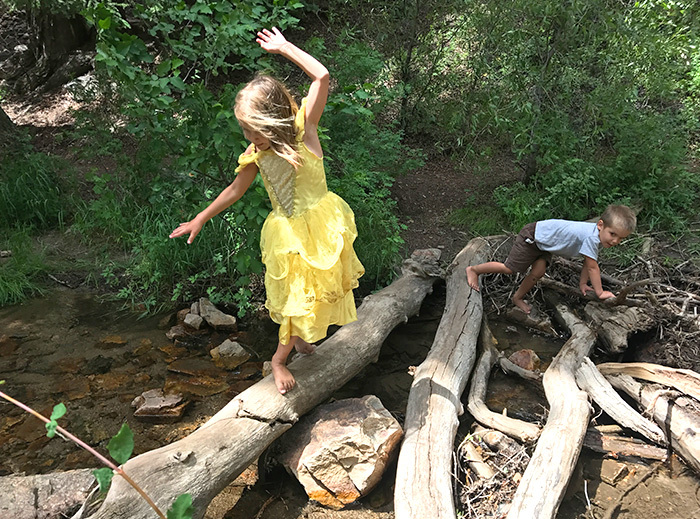 I know they won’t be little forever, so I try to savor these “training” hikes, where we lay the foundation for what we hope becomes a life-long love of nature. Hi, Kristy! This is an amazing article! You gave some real tips, pointing out both positive and negative sides of bringing your kids on a hike. At the end, you`re making some really good memories, as you were saying. I was wondering, how you get to motivate kids to go on a hike at first place? We just tell them we are going 🙂 They actually usually love being outside, so most of the time it’s never an issue. The struggle usually starts once we are actually on the trail. Yes! Yes! Yes! Very well written. I think alongside the benefits above I’ve seen my kids’ imaginations grow leaps and bounds by being outdoors. So true. If we go through funks where we don’t get outside as much, I feel like their brains to to mush. Haha.